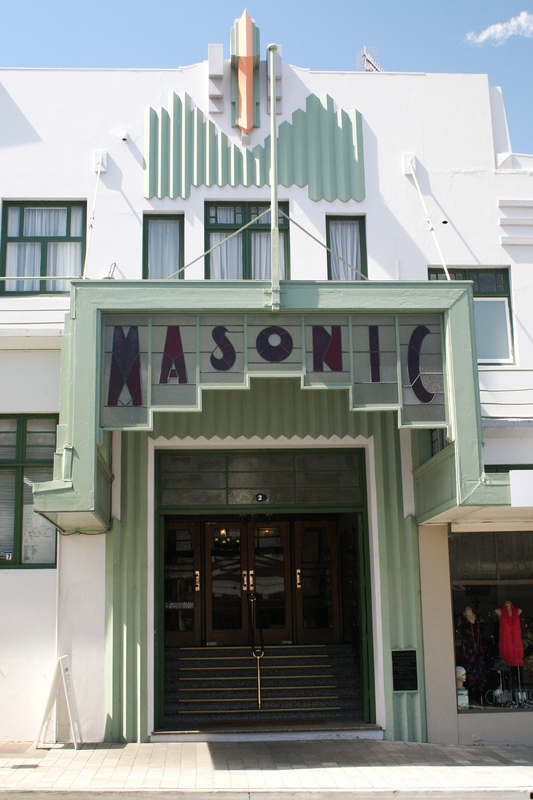 Our second and final day in the Hawkes Bay was spent in Napier city. Whereas the previous day was mainly about Josh & Flynn having a good time, this day would have stuff for the big kids as well. Napier was rebuilt in the 1930s after being devastated by a 7.8 earthquake in 1931 and the day after we left was actually the 80th anniversary of the quake. 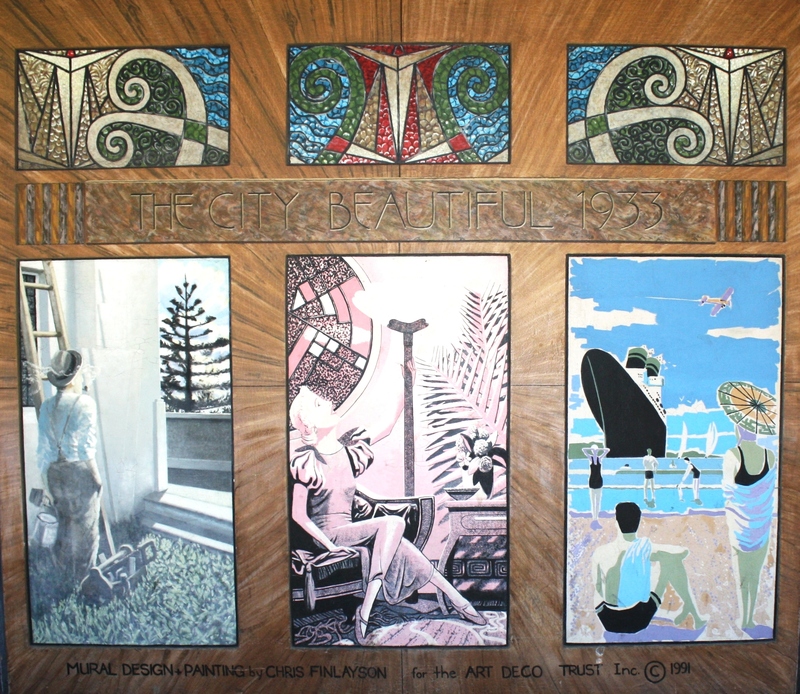 The city was reborn in art deco style and today is recognised internationally as the Art Deco City. This brings in a lot of tourism. It is nice that out of tragic circumstances grew a new identity and economy. We had a sunny blue sky day so the place was obviously going to put on a good show for us. First we parked on the waterfront and spent a couple of hours in the main shopping district, art deco spotting, browsing in shops, and partaking in the cafe culture. Like most NZ cities, Napier was developed on the coast and has a nice waterfront, though its pebbly beach isn’t suitable for swimming. 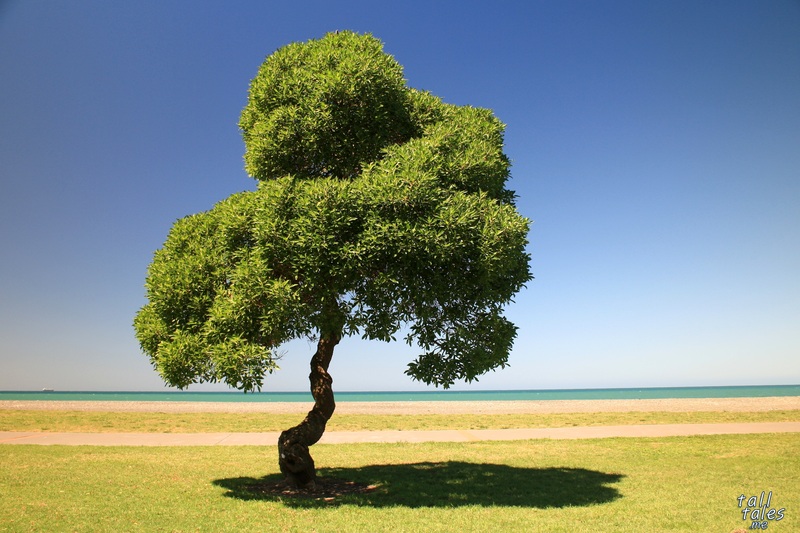 Marine Parade has a string of interesting features, some free like the beachside walkway and gardens, and some not like the aquarium and pools. And mini golf. The boys wanted to play immediately upon spying it and we returned after lunch. Mike played as well but I took that opportunity to flee in search of a trip momento to take home. I found an excellent shop run by the Art Deco Trust where a small colourful vase jumped up and cried “BUY ME!”. Also of note was a shop selling old fashioned sweets which I was drawn into before I knew what was happening. They happened to have the lemon sherbert lollies I discovered in London last year. At that point it seemed a shame to leave empty handed. For lunch we drove five minutes further around the waterfront to the seaside village of Ahuriri. It’s often tricky finding meals that suit everyone namely the fussy palate of Mike’s youngest however we found a cafe with good range of cabinet food that did the trick. We walked on a bit further, past the boats moored in a channel off the Ahuriri harbour, and on to the little old customhouse. 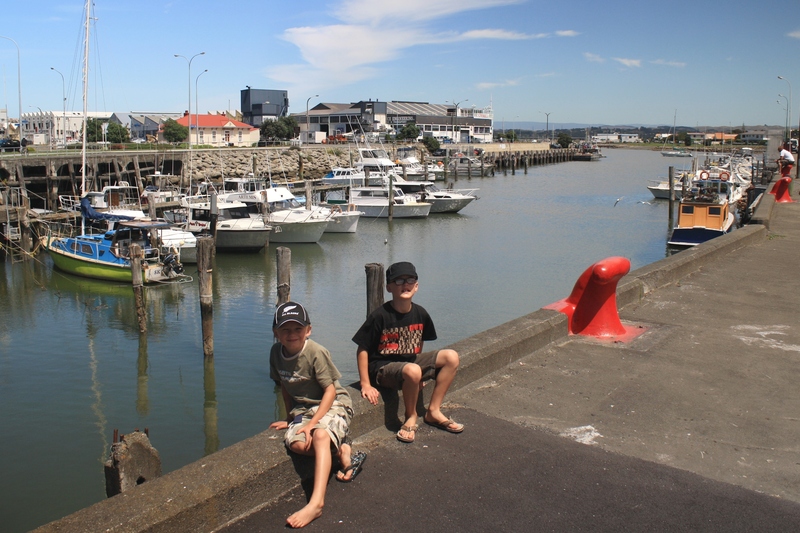 Prior to the earthquake Ahuriri housed Napier’s main port and many of the industrial buildings from that time remain. A little further on you can see the well known National Tobacoo Company art deco building, though today it sports flags of the prominent furniture retailer that owns the site. Mike had the excellent idea of having a drink at one of the waterfront bars along the West Quay so that was the next order of business. It was a nice area with great views from the deck. Sun umbrellas offered a welcome patch of shade. The short return drive back to Napier went past a playground and we stopped to give the boys some running around time. 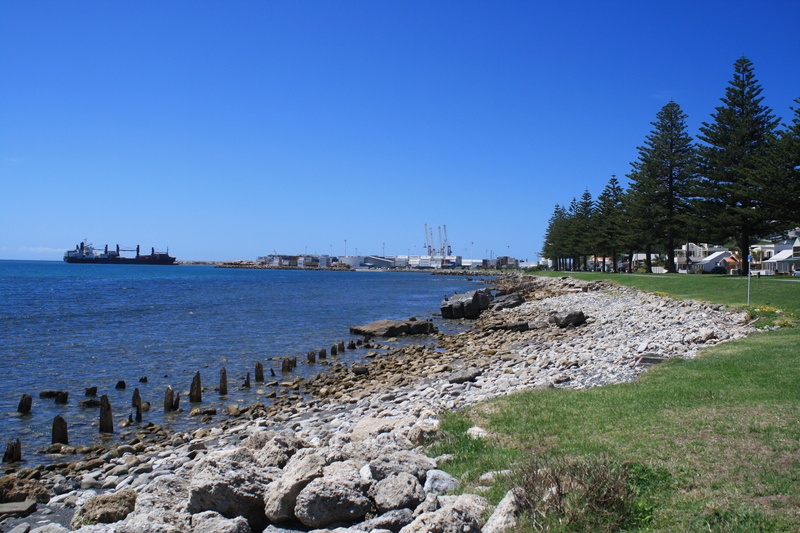 It was also a good spot to observe ships leaving and entering the Port of Napier. A ship entering the port as seen from the Ahuriri side. In the foreground an old wharf is gradually being consumed by the sea. One of the unwritten rules about going on holiday is that you get to eat and drink nice things more often than you would normally. We continued this practice with yummy gelato back on the Napier waterfront and pizza for dinner, eaten on the steps of our cabin. The next day we packed up and shipped out. This had been a short but good trip, enjoyed by the little kids and big kids alike, everyone left with a good impression and memories of the Hawkes Bay. I’m pretty sure the big kids will be back.